WENDAKE, QC, Sept. 12, 2018 – In a letter addressed to the leaders of the Quebec political parties, the Chief of the Assembly of First Nations Quebec-Labrador (AFNQL), Ghislain Picard, advised the next Premier that the relationship between the Government of Quebec and the First Nations will have to be completely transformed. “I want to be very clear: the political relationship of government-to-government between the First Nations and the province of Quebec is to be entirely reviewed,” wrote the Chief of the AFNQL. In the letter, Chief Picard noted that First Nations’ rights have never been fully recognized by the provincial government. He deplored this fact: “Until now, it has been too easy for successive governments to turn a deaf ear and direct their attention elsewhere.” Ghislain Picard warns that “The Québec Government can no longer hide behind the federal government to avoid its obligations towards First Nations”. 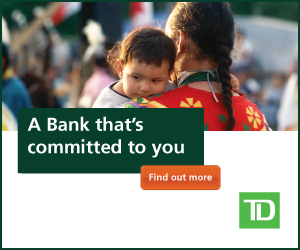 Services to First Nations that respect their cultures and way of life. “While there has been some progress in recent years, we are still far from a political relationship that respects the principles of a Government-to-Government relationship. The next Québec Government will therefore not only have to fully adhere to the UN Declaration on the rights of Indigenous peoples, but also recognize and respect that we form governments, with all the functions that it implies”, explains Chief Ghislain Picard. “And, as René Lévesque said: “A population whose territory is settled by others, planned by others, managed by others, expropriated by others and for the benefit of others, is no longer significant”, concludes Chief Picard. The political party you lead is hoping to form Quebec’s next provincial government. I want to be very clear: the government-to-government political relationship between First Nations and the province of Quebec is to be entirely revisited. If you are elected to lead Quebec, you will have to accept this challenge with us at the beginning of your mandate. Indeed, within one hundred days into the new administration, the Assembly of First Nations Quebec-Labrador (AFNQL) will convene the next provincial government to a formal meeting with our Chiefs Assembly. The purpose of my letter today, while the election campaign is well underway, is to inform you of the concrete commitments that are expected from the next provincial government and the next National Assembly. For First Nations—who have lived since time immemorial on this unceded territory, which lies at the core of our identity—our demands are not new. We have always been making them known, perhaps too quietly, perhaps too politely. Until now, it has been too easy for successive governments to turn a deaf ear and direct their attention elsewhere. On behalf of the First Nations living both in our communities and in urban areas, of the youth whose future projects are too often overlooked in development plans, the women and elders who live with insecurity, of our most vulnerable citizens, the AFNQL has a duty to refuse evasive answers and to demand of you concrete commitments. The Québec Government can no longer hide behind the federal government to avoid its obligations towards First Nations. True reconciliation can only be achieved with the provinces’ solid and tangible involvement. Quebec must recognize our titles and Aboriginal and Treaty rights, particularly in matters related to land and resources. The following are but some of the fundamental demands you will be invited to discuss with our Chiefs at the start of your mandate. That public safety be considered as a priority and that First Nations policing services be recognized as an essential service with appropriate resources to responds to the specific needs of First Nations. We will specifically insist on these principles in the context of the legalization of cannabis. We expect a commitment that will allow the communities that request it to create their own police force rather than having to rely on the Sûreté du Quebec. In the short term, the First Nations want the National Assembly to adopt a bill designating the United Nations Declaration on the Rights of Indigenous Peoples (UNDRIP) as the guide for all provincial measures regarding First Nations. The AFNQL expects the next government to invite First Nations to contribute to the drafting of the bill. The Calls to Action from the Truth and Reconciliation Commission require the responsibility of all Governments. Your political party must respond to the calls of the Truth and Reconciliation Commission. The Québec Government must exercise a primary role in ensuring the winning conditions for a harmonious relationship between First Nation members and the Quebec society. This will require political courage that is too often absent. It will not be easy; it will require talking about discrimination and racism. We will need to work together to find solutions. The AFNQL will require a firm and concrete commitment from your political party for significant participation by First Nations in developing their economy, the land and its precious resources by determining the appropriate partnership conditions. The necessary social and economic upgrading for our Nations can only be ensured with their full participation. The AFNQL does not claim to replace the existing bilateral processes between the Québec Government and some of the First Nations, but fundamentally believes that the conditions put forward by Québec are insufficient. As a political party hoping to form the next government, you must commit to giving the Viens Commission’s report the attention it deserves. The current government has finally set this Commission up after months of constant effort on the part of our representative organizations. The Commission must file a report at the end of its work and it is hoped that it will contain concrete proposals to improve relations between Indigenous peoples and Quebec institutions. We cannot turn a blind eye to the events that led to the Commission’s work. Policing services charged with providing safety, including that of our members, are questioned. We will take all necessary measures to guarantee this fundamental right to safety. Your responses to these legitimate demands could be the basis for a new political relationship that will recognize and respect the responsibility of our Governments towards our members, wherever they may be. First Nations are waiting for clear commitments to finally allow them to realize their aspirations.